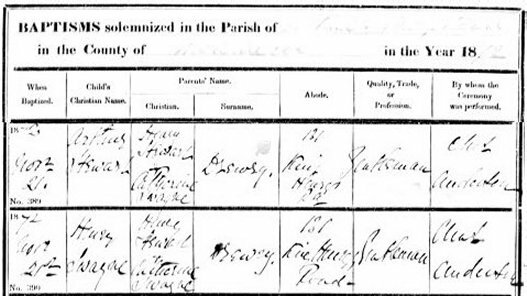 In the 1911 Census, Henry is recorded as single, a solicitor, and living with his mother (Catherine Swayne). In the 2nd quarter of 1919, aged about 47, he married Hilda Mary Staniland. In 1938 the Electoral Registers have Henry Swayne and Hilda Drewry at 15, Hanover Square W.1. (Abode: Overbury, Oxhey Drive, Northwood). NOTICE is hereby given, that the Partnership heretofore subsisting between us, the undersigned Eric Gore Graham and Henry Swayne Drewry carrying on business as Solicitors at 15 Hanover Square, London, W.1, and 37 Murray Road, Northwood, Middlesex under the style or firm of GRAHAM SON & DREWRY has been dissolved by mutual consent as from the 3ist day of December 1944. All debts due and owing to or by the late firm will be respectively received and paid by the said Eric Gore Graham. The said business will be carried on in the future by the said Eric Gore Graham under the style of Graham Son & Drewry as heretofore. - As witness our hands this ?th day of January 1945. Henry S Drewry in Watford aged 80.